Irrespective of religion, Christmas is indeed a ‘Bada Din’ or big day for Indians. This year, the administrators in Kolkata are introducing buskers to turn the celebratory tune up a notch. Christmas is celebrated in Kolkata with great enthusiasm and grandeur. This year, Christmas gala in Kolkata has one contrivance up its sleeve. To make the festival more jubilant organisers are bringing buskers or street performers and musicians on the streets of Kolkata. Every year, people in Kolkata flock to the neighbourhood of Park Street to visit its majestic churches, vintage pubs and sweet-smelling bakeries. The cultural programme at Allen Park is one of the main crowd-puller on Christmas and choirs, band and orchestra are a very important part of it. This year, buskers are expected to turn the celebratory tune up a notch. Buskers are a band of travelling musicians who sometimes perform in a group or alone. In European cities like London, Venice, Paris and Rome, a bittersweet sound of Violin or pleasant tinkling of Piano on the sidewalk is a part of everyday urban life. The rich history and tradition of busking go back to medieval Europe. Merchants used to appoint musicians at the place of business to allure customers with their tunes. With time, busking has met with a lot of prohibitions and regulations. Busking requires a licence in present day London. India also has a rich tradition of street performers. 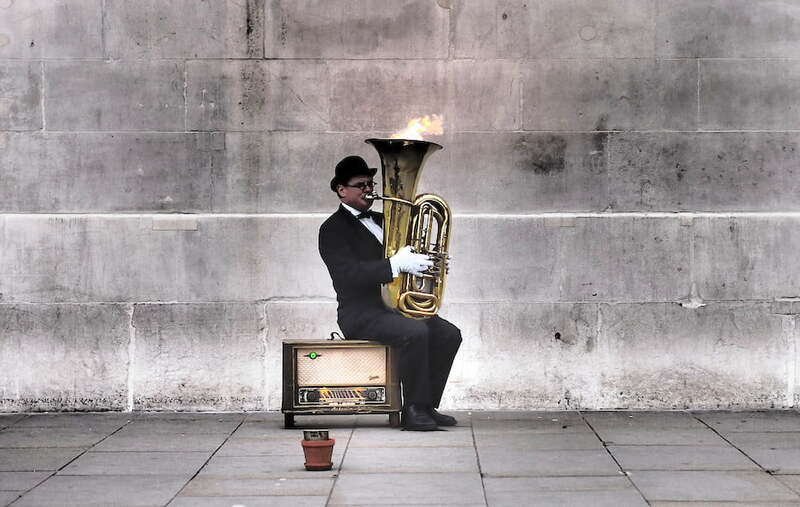 Many renowned artists were known to be inspired by the creation of humble street musicians. A man with a pointed mustache and colourful elaborate turban playing Ravanhatta (ancient instrument) on the streets of Jaisalmer is a common sight. Similarly, mystic minstrels of Bengal or locally known as Bauls stroking their Dotara (musical instrument) in the shadowed streets of Shantiniketan (small town in West Bengal) are part and parcel of the cultural scene. What to expect this Christmas in Kolkata? The administration has been contemplating to bring buskers for a long time. However, this year it has been finalized. According to an official, “Buskers will come for sure. How many artists will be there and what would be their routines are still under consultation. By next week, all the information will be made available to the public.” Not just buskers, two more interesting features have been added. There will be Santa Claus and Mary-Joseph competitions. On December 21, chief minister Mamata Banerjee will inaugurate the festival. Keeping the crowd in mind, thirteen gates will be built at several locations in Park Street and sound boxes will be installed at the venue of the cultural festival.